Have you ever thought to have your own business in Mumbai? Are you looking for a business opportunity that can be started with low investment and gives regular return on investment. If yes, then, here is a great opportunity for you. 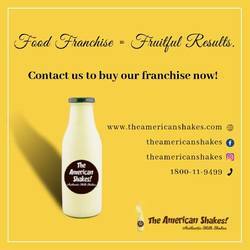 The American Shakes is offering best franchise business opportunity in Mumbai.